Another beautiful day in Glasgow with sunshine, blue skies and a high of 65. 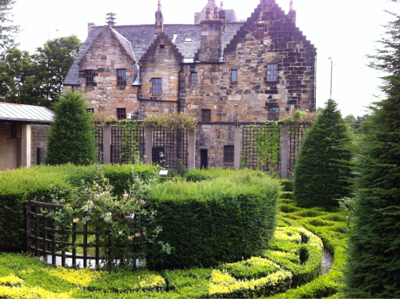 We spent our last full day in Glasgow touring the attractions. 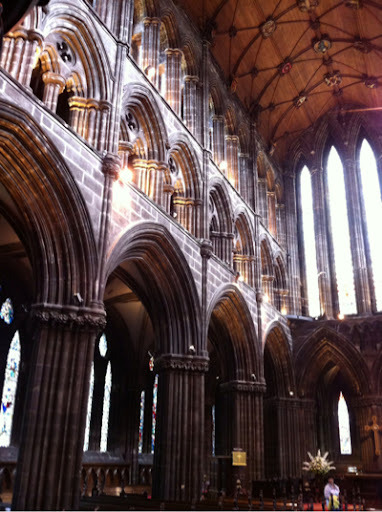 We started at the oldest house in Glasgow and the Glasgow cathedral, both beautiful buildings. There is a piping competition in Glasgow this weekend with 250 piping teams in from all over the world. 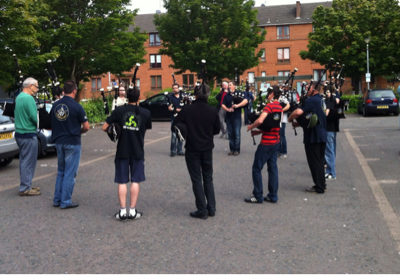 The teams were out practicing in every spare carpark and we were serenaded throughout the morning with the sound of the pipes and drums as we walked through the east end. 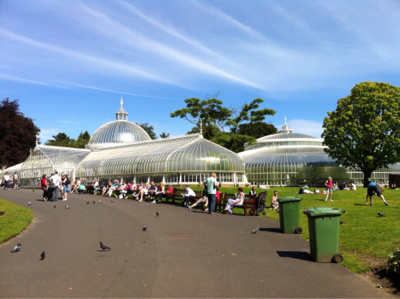 We spent some of the afternoon at the Glasgow Botanic Gardens. Beautiful gardens in glass houses that were built in the late 1800s. The sunshine really brings out the crowds and the grassy areas were full of people catching some rays. We had a late lunch at the Tea Room in the gardens. It took us 3 days but we found Two Fat Ladies restaurant. It was highly recommended but hard to find in a dodgy section of town. I have been ordering food based on whether I have heard of it before or not and last night for a starter I had Cullen Skink which was quite good. 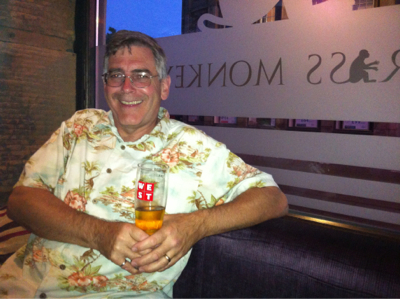 Then it was off to the Brass Monkey for a pint before heading back to the B&B.